To provide a reliable on-farm animal welfare assessment system based on scientifically proven measures and independent third party assessments. To improve animal welfare on European fur farms through analysing of the assessment data and education of the farmers. 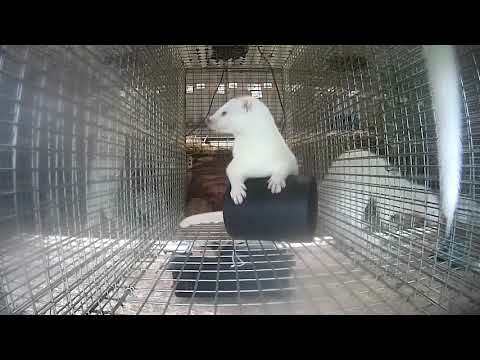 To provide consumer transparency on the welfare status on European fur farms by publishing assessment data. The welfare assessment protocols for fur farmed species (mink and fox) are developed by independent scientists at seven European universities1 and were published in 2013 and 2014. These protocols work as science-based ‘manuals’ for the third parties assessing the individual fur farm. Based on the principles of the European Commission funded Welfare Quality® project, the programme takes on a multi-faceted approach to animal welfare that considers all important welfare parameters including the animal’s positive and negative emotions, health, natural behaviour, the housing system, feeding, human-animal relationship and how the farm is managed. Steen Henrik Møller, a senior researcher at Aarhus University, is one the scientists developing WelFur. He explains what makes WelFur so valuable as a science-based animal welfare assessment programme.